This Stark Outrider has a slight conversion to it... that is altering the angle of the sword arm. In this case, I am still using the alternate color scheme to give them more of a historical look. 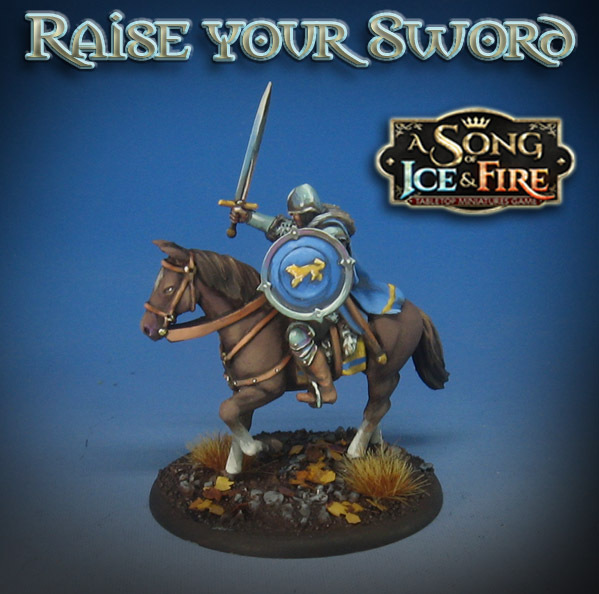 As I have mentioned before, I will be featuring the Stark army in the "official" color scheme when I create the how to videos for the Patreon Page. I will be creating videos for the units and the individual characters/NCU's as well.